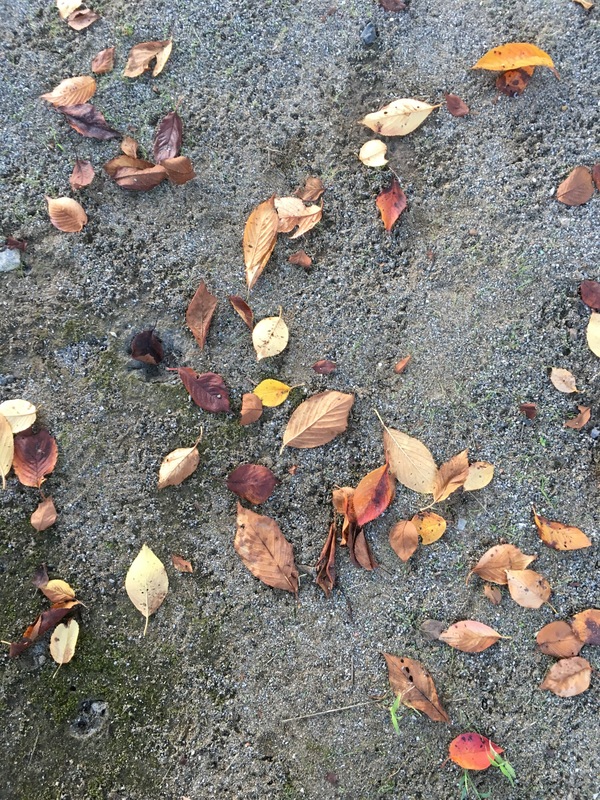 Another largely uneventful week, though autumn finally seems to be arriving with that mix of warm and cool days that mark the beginning of it and the days becoming decidedly shorter. We’ve had a lot of rainy days and the cooler nights have left us sleepier than…. well, not ever, but sleepy! I worked, lurching around for all three companies to varying degrees. The children who remember me from before maternity leave (they’re preschoolers, long-term memory isn’t their strong point) ask where E is. She is safely at hoikuen, childcare, where she remains very popular, but the question always makes me wonder at how hard going back to this work would be if something else had happened to her. Despite the temperature improving, the rain has made outside time a bit harder than ideal. While I don’t hesitate to dress Mr K in his raincoat and rain boots and unleash him on the puddles, even they lose their novelty and I have E to consider too. R has been finishing work earlier than usual and he’s been taking Mr K out a lot, though. I took them on the trains for what feels like the millionth time, and we visited a shopping area with a large selection of toy trains with which Mr. K could mess about. E’s second attempt to get her vaccines was successful, though she developed a fever about 24 hours later and got uncharacteristically grumpy and clingy as a result. The fever’s passed now but she’s still not quite herself. Things are mostly fine but, truth be told, I’ve finished the week with a bad headache that won’t quite go away and I’ve got that overwhelmed feeling again, where everything feels too much and doing anything else seems a bit impossible. I need to rest and… regroup, I guess? Next week isn’t looking too bad. I’ve got four days of work and E will turn 7 months old. Have a nice one, everyone! My fog-shrouded brain needs to remember that. I would like it to hurry up and not be September anymore because this month has been rough, but writing a list of 7s in the month column on K’s childcare schedule isn’t the solution to that. And whether you judge the seasons by the calendar, the equinox, or if you too are an optimistic UNIQLO retailer that realized everyone was sick of summer by early August and started stocking accordingly, it’s definitely autumn now. 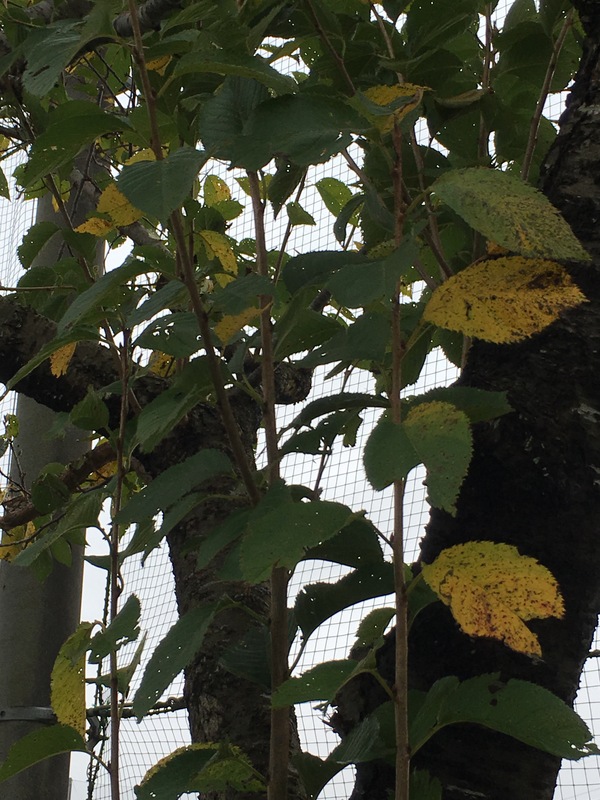 The days are getting steadily shorter, the light is turning more golden, there are autumn fruits and vegetables filling menus and supermarket shelves and the leaves are changing colour. There’s Halloween stuff everywhere and even though the temperature are still high, a wrap is becoming a good idea in the early morning and evenings. It’s very definitely autumn. 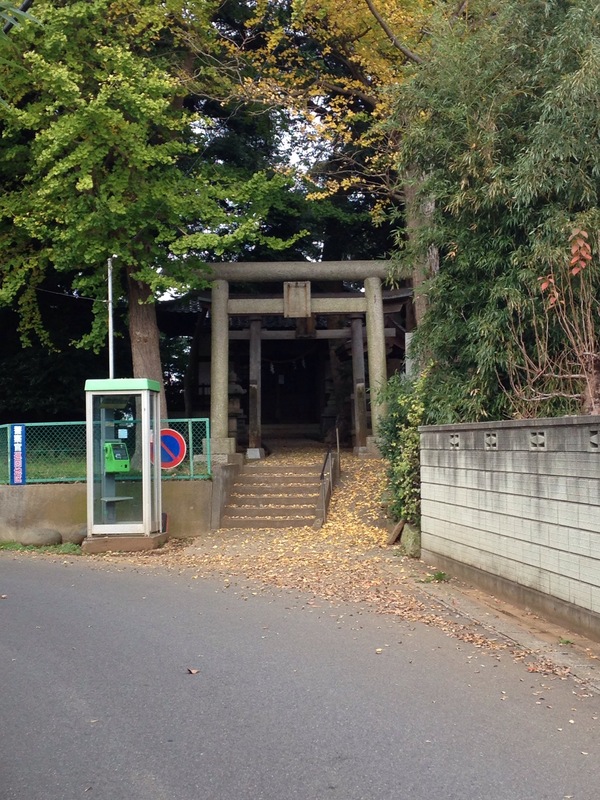 Kasuga Shrine, located a matter of minutes walk from our house and littered with autumn leaves. 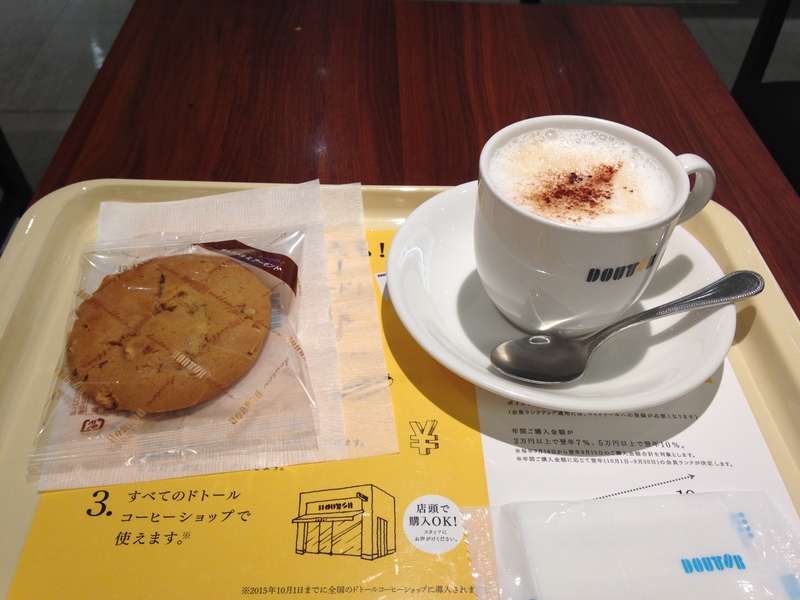 Following my longer-than-expected walk on October 22nd, when I wrote up “A Day in My LIfe”, I ended up taking a needed rest and enjoying a perhaps less-than-needed cookie and coffee at Doutour. Chestnut is always a big, heavily-promoted flavour in autumn and Doutour, sure enough, is promoting chestnut-flavoured coffees for autumn. The coffee pictured is a marron latte (marron is the French word for chestnut, though many Japanese mistakenly think this is the English) and, while I’m not usually that big a latte fan, this was actually pretty enjoyable. The chestnut flavouring was subtle enough to simply add to the flavour of the coffee rather than overpower it and it left a lingering, pleasant aftertaste. That cookie, though. That cookie was gorgeous. It was a caramel and almond flavour, and on top of that being a delicious combination, it was just the perfect chewy texture. It generally takes a lot of willpower on my part to not order one of the gorgeous cake sets whenever I venture into Doutour in the afternoons, but if they keep that cookie around, I might just be able to manage it.